How do I make a Prezi presentation a video and do a voice-over? Have you tried using Presi? Have you wished you could upload it as a video onto YouTube? You sure can do this with a few extra steps. 1. 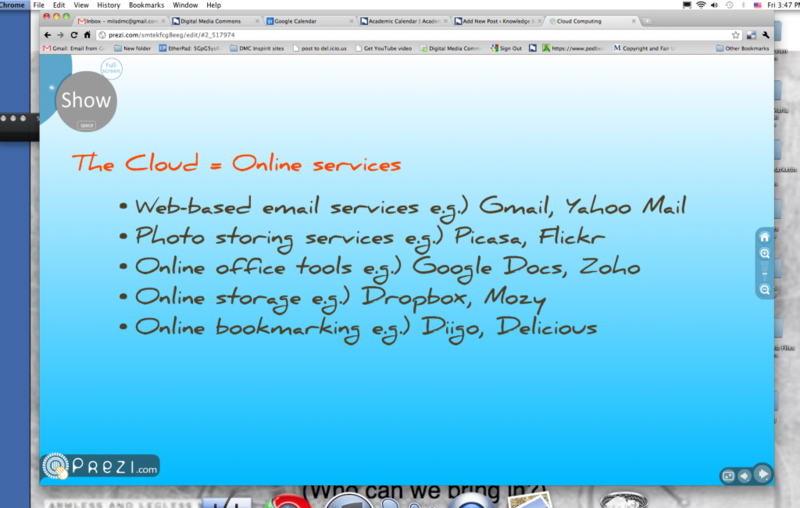 Go to your Prezi editing screen and start your presentation. 3. 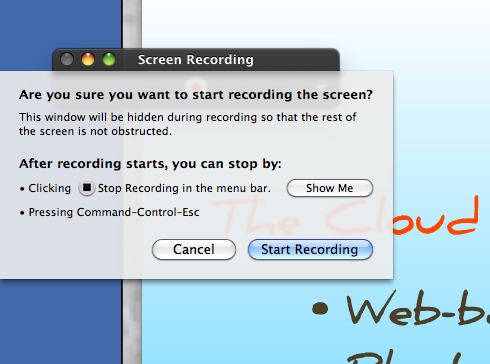 Now, you see “Screen Recording” window/botton so go ahead and click on it. 5. What’s happening now is that this is recording the whole screen. So go ahead and start moving your Prezi presentation. 6. 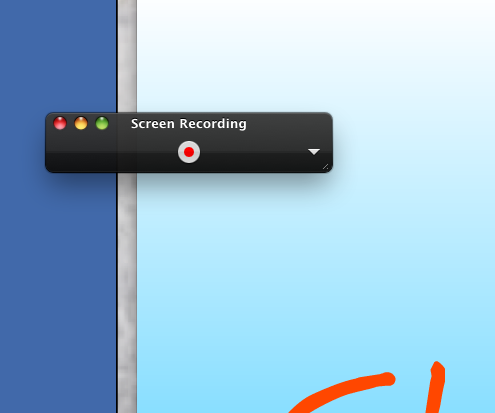 When you are done, click on the “Stop Recording” botton you see on the top bar. 7. 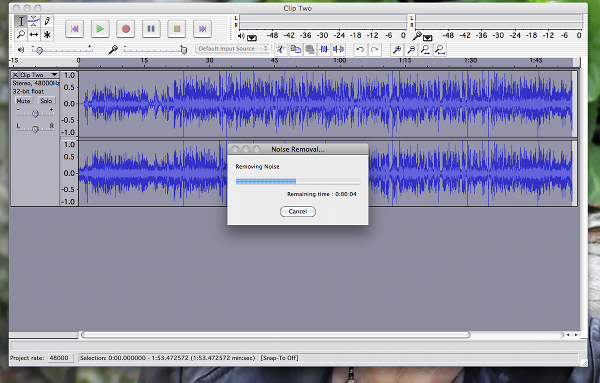 Now, your captured movie is saved on desktop so you can import it into iMovie and do a voice-over! How do I create a GO link? You will be asked to sign in using your Exchange credentials (the same username & password you use for your miis.edu email). What’s the best place to upload a video file for sharing? June 28, 2010 / 1 Comment on What’s the best place to upload a video file for sharing? For open public sharing, the most common free services are YouTube and Vimeo. 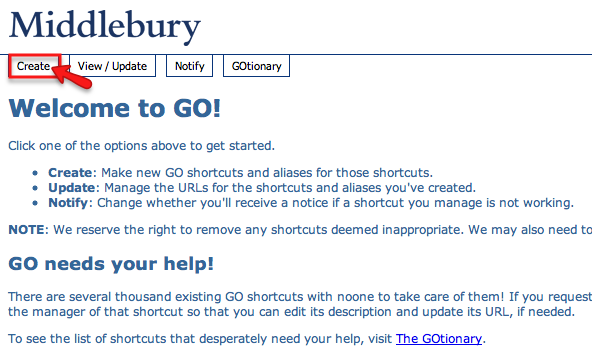 For more controlled sharing and privacy you can also try MiddMedia, a free flash media server hosted at Middlebury that is linked to your Net ID account. Learn more about using MiddMedia for multimedia file sharing. How do I download YouTube videos with FireFox? If you thought downloading YouTube videos in Safari was easy just wait until you try this cool new add-on for FireFox that allows you to download .flv files in the much more flexible .mp4 format. Go to Video DownloadHelper and select the appropriate version. After it downloads, restart your FireFox browser. You should see a strange, black-and-white, molecule-like icon next to the address bar. Now, simply open the YouTube page of the video you wish to download and, suddenly, the icon will become animated. Click on the small triangle next to the icon to open a tab of options. Select which file format you would like and click download. Select the destination folder and the the video will automatically convert to the desired format upon saving. You can open it using most major media players. Good luck and stay legal! How do I download videos from YouTube using Safari? Downloading a movie from YouTube is easier than operating a microwave. You don’t even need a YouTube account! With just a internet browser (Safari in this case) and a few clicks you can watch your favorite, legal clips from your hard drive. However, before you start downloading, please review U.S. fair use laws to make sure that you do not break the law. 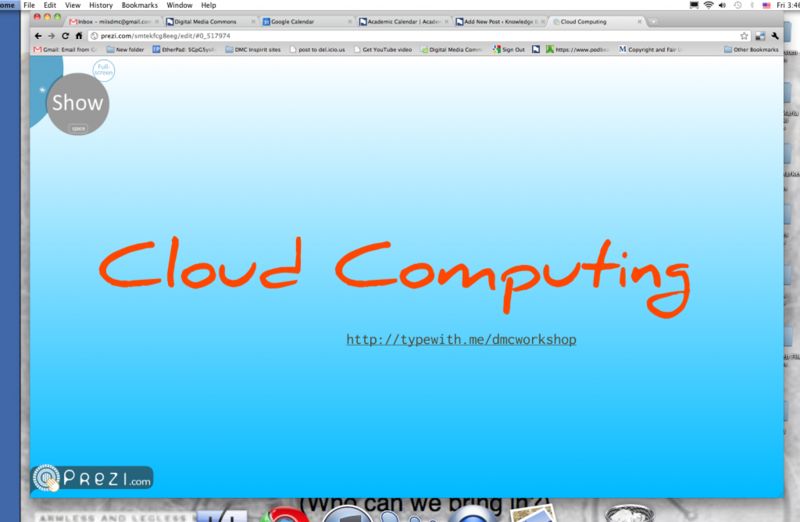 Step 1: After opening Safari, go to the window tab and select activity. This should bring up an activity box with a list of every task that the browser has loaded. Step 2: Go to YouTube and open the page for the video you wish to download. As it is loading, browse the activity box for the specific video task. It will most likely be the largest file. Now simply double-click on the file and it will automatically download to your desktop in a flash video format (.flv). Step 3: To view the clip, you can either download a player that will read .flv files (VLC Player is a good choice) or you can convert the file into more flexible format using Handbrake. Good luck and remember to stay legal! 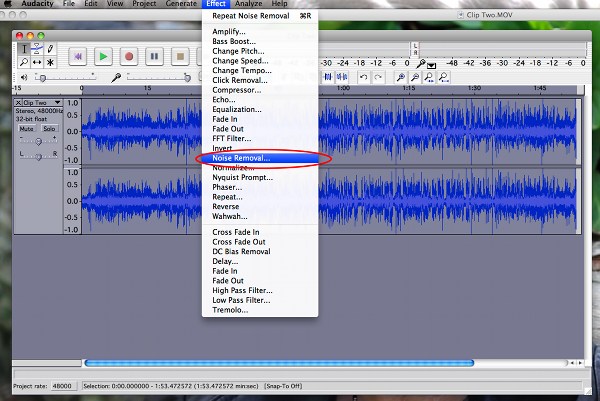 How do I detach audio from a movie clip and add it to another clip in iMovie 09? This tutorial demonstrates how to separate the audio from one video clip and add it to another, separate video clip as a voiceover or background audio. The video below demonstrates the use of this technique. The video clip of me talking was recorded as a single file and I later detached a portion of the audio to play as bakground audio for when the animated maps are playing. Please see the step-by-step tutorial below this video. Step 1: In your iMovie project, select the video clip that contains the audio you’d like to extract and use as a voiceover or background audio on another video clip. In the example below, I’ve selected the clip that shows me by double clicking on it. The other clips in this project are a title screen that is directly to the left of the video clip that shows me and three map animations at the end of the project. 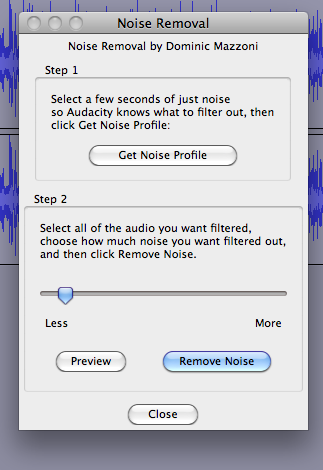 Step 2: Next, you will need to determine what portion of the audio you’d like to detach and use as a voice over or background audio. In this example, I have decided that I want to keep the beginning and end of the video clip but take out the middle portion. You will need to split the clip into three parts that isolates the portion you want to detach as the middle portion. Place the mouse over the exact point where you want to split the clip. Then push the control key on the keyboard and then click with the mouse to activate the menu. 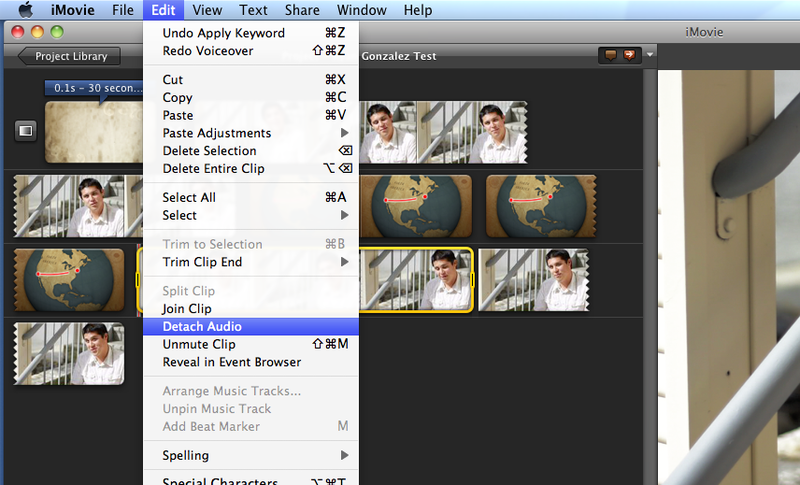 Select “Split Clip” to chop the clip in half. Hold down the "control" button while you click to activate the menu. Step 3: Now that I have split my clip into two pieces, I will need to split the clip again at the end of the audio that I’d like to use as a voice over or background audio. 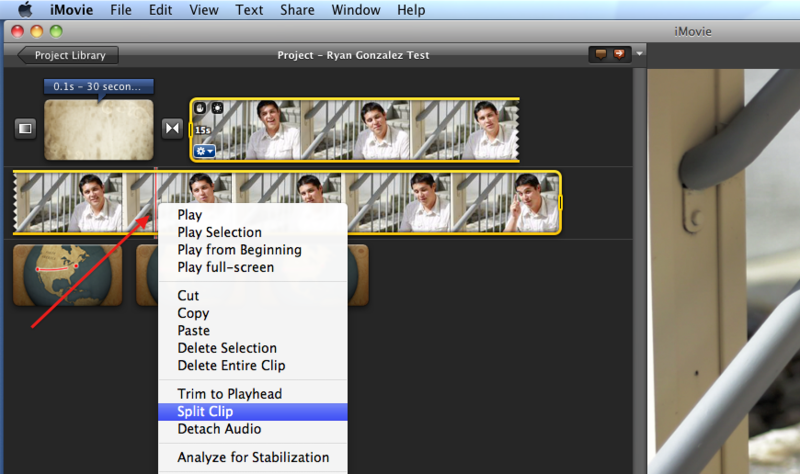 Step 4: Now that you have split your clip into three smaller clips, you will need to rearrange the clips in your project into the order that you’d like them to appear. In this example I have dragged the map animations to play just after the first clip because I want them to play when I am talking about where I went over the summer. 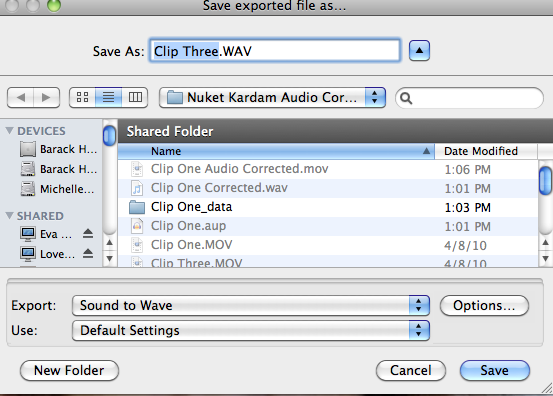 Step 5: Now that you have your clips arranged in the order that you want them to appear, it’s time to detatch the audio from the “split clip” in the image above. 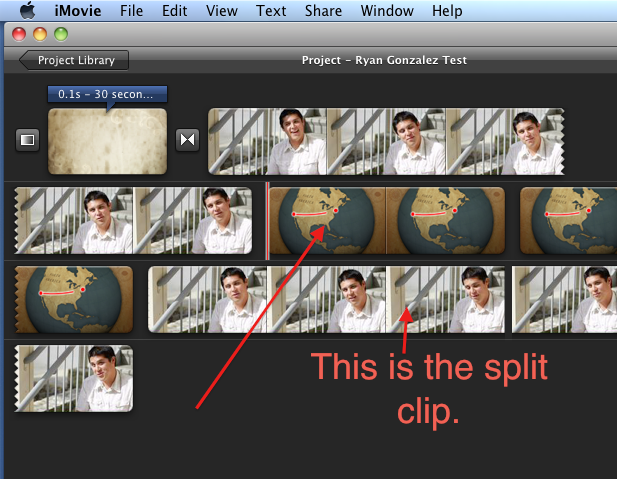 Select the split clip by clicking on it once, when you have selected it a yellow box will highlight the clip. Next you will need to hold down the “control button” and click the mouse to activate the menu. 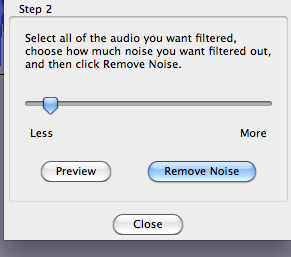 This time you will need to select “detach audio”. 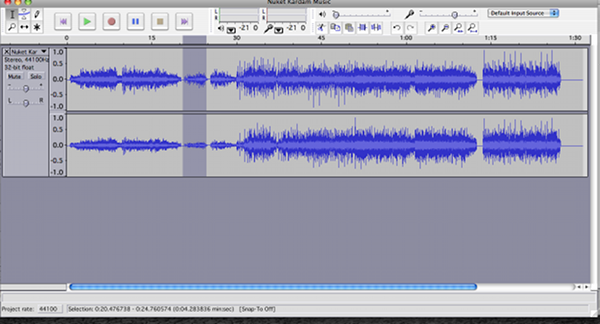 Once you have succesfully detached your audio, a purple bar will appear below the clip. Step 6: Next you will need to drag the detached audio (purple bar) and attach it to the first map animation. The detached audio will have a tab that connects it to the video clip above. Step 7: Now that you have the audio clip attached as a voiceover or background audio to a new video clip, it’s time to delete the video clip from where the audio was detached from. 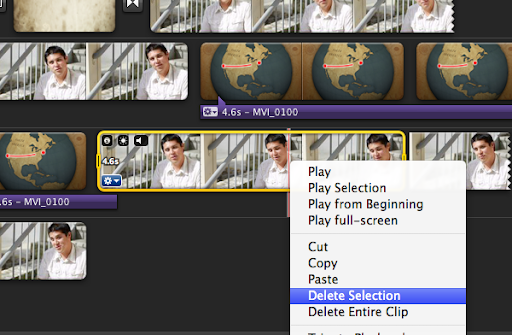 Click on the clip to select it and use the control + click feature to activate the menu and “delete selection”. The image below is what your project should look like after you have successfully detached your audio and attached it to another clip as a voiceover or background audio! 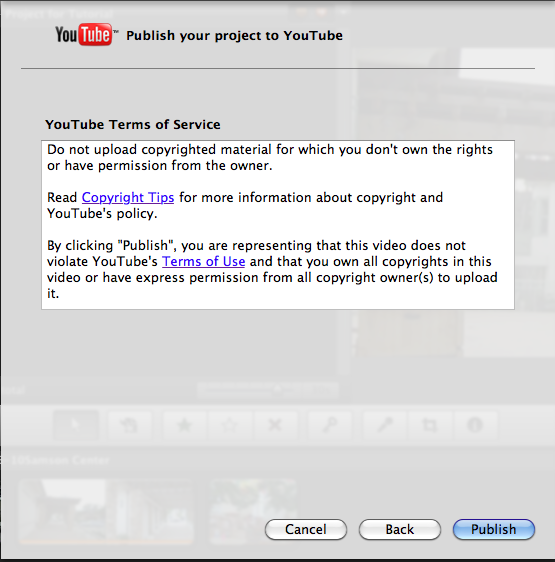 How do I upload my video project to YouTube using iMovie 09? 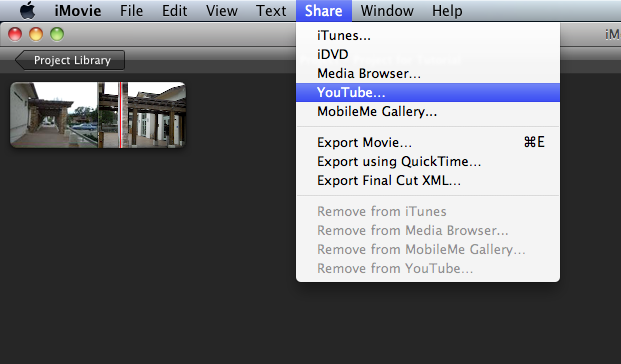 Uploading your project from iMovie 09 to YouTube is simple! All you need is your completed project and a YouTube account to get started (sign on to youtube.com and get your free account). Step 1: Navigate to the share menu and select the YouTube option. Note: This will open up a dialogue box that will prompt you to select your YouTube user name. 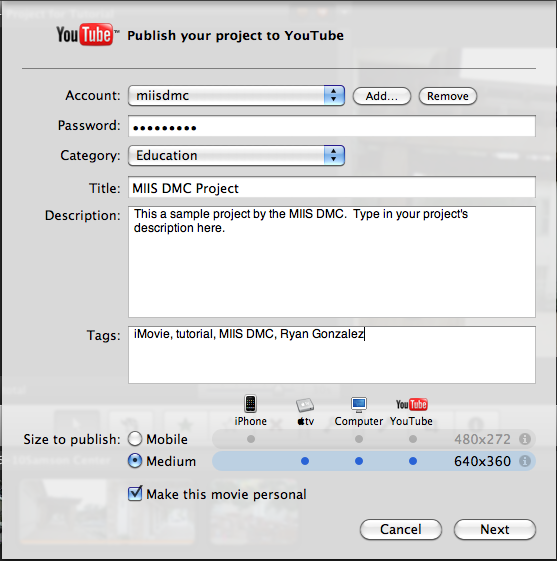 Step 2: Fill in the blank fields in the “Publish your project to YouTube” dialogue box. You have the option of creating mobile and medium sized movies, which will change the file size of your exported video. For this example, the project will be exported as a movie that is 640 pixels wide by 360 pixels tall (If you have a long video, you might consider exporting and uploading your project as a mobile sized video). 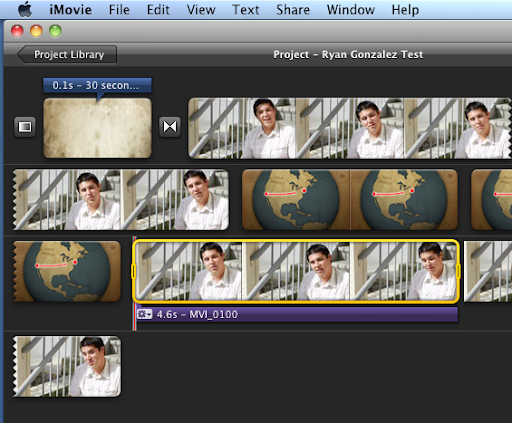 Step 3: After you have filled in all of the fields, click the next button to start exporting and uploading to YouTube. After you click next, a dialogue box will open requiring you to acknowledge that your project complies with all copyright laws. 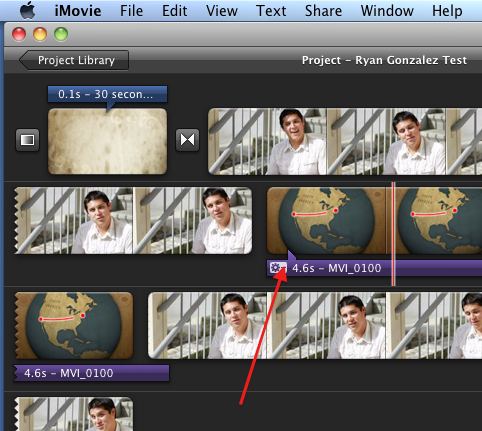 Step 4: Click the “publish” button and iMovie will begin the export and upload process. The duration of this process will depend on the length of your project as well as the quality of the footage that you have imported into your project. Once your project is done uploading, iMovie will display a confirmation dialogue that will provide the url to your project on YouTube.com. After this step, YouTube’s software will work on further converting your file to optimize it for viewing on the web. You’re all done!